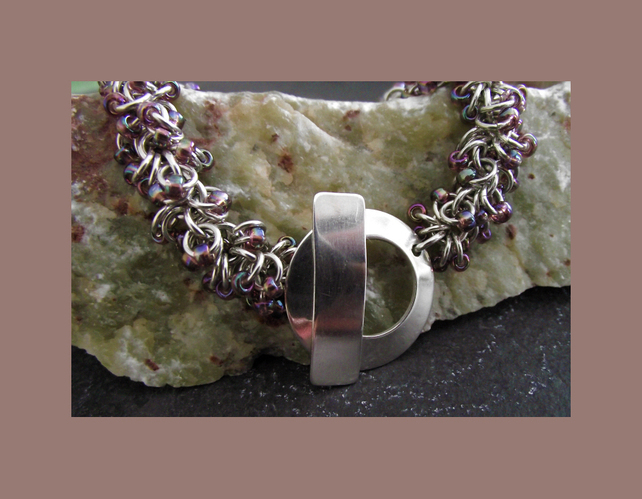 A beautiful sterling silver shaggy loops chainmaille bracelet with tiny coloured glass beads and finished with a hand forged sterling silver clasp. Perfect for anytime wear. Chainmaille is a centuries old craft but has been adapted from making protective garments to making beautiful items of jewellery.